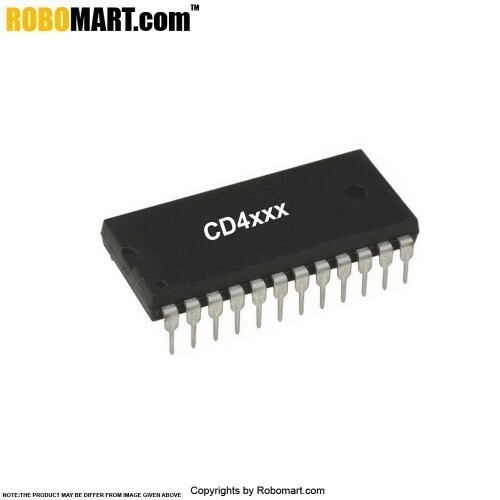 The CD4034B is a static eight-stage parallel-or serial-input parallel-output register. Parallel or serial inputs/parallel outputs. Asynchronous or synchronous parallel data loading. Parallel data-input enable on "A" data lines (3-state output). Data Recirculation for register expansion. Fully static operation dc-to-10 MHz (typ.) at VDD = 10 V.
Parallel Input/Parallel Output, Serial Input/Parallel Output, Serial Input/Serial Output Register. Shift right/shift left with parallel loading. Bus system register with enable parallel lines at bus side. Up-Down Johnson or ring counter. Sample and hold register (storage, counting, display). Also Searched as : Bidirectional BUS register, CD4034 buy online in india.